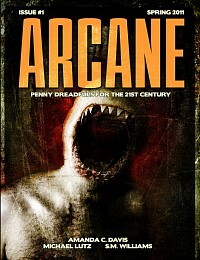 Just wanted to say that I read your story, “In the Place Where the Tree Falleth” in Arcane #1. Loved it! Best story so far in the book, and I’ve read all but the last two. Nice work! Wow, thanks! Glad to know I’m helping people enjoy a few minutes of their life.